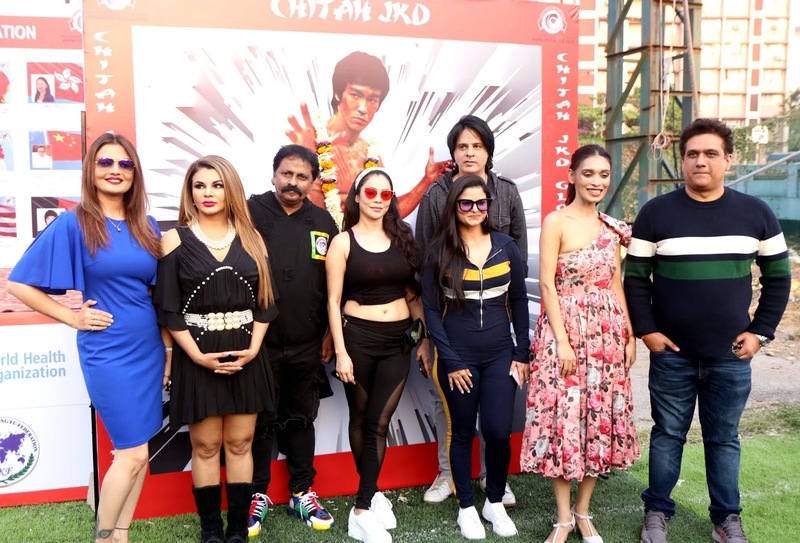 Chitah Yajnesh Shetty and Film and TV celebs came to celebrate 78th Birth Anniversary of Bruce Lee at Celebration Club, Andheri. 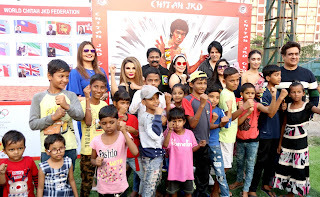 Chitah Yajnesh Shetty, Martial Art Icon invited celebs from Film and TV Industry to celebrate 78th Birth Anniversary of Bruce Lee at Celebration Club, Andheri. Actor Rahul Roy, Deepshikha Nagpal, Rakhi Sawant, Nikita Rawal, Aastha Rawal, Aarti Nagpal ,Music composer Daboo Malik and Ekta Jain along with Riyaz Bhati attended this celebration. 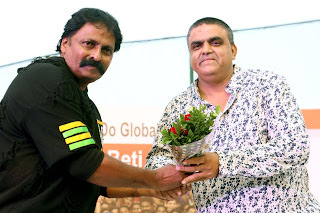 8th National Championship’ was organized by his flagship NGO ‘ChitahJeetKuneDo Global Sports Federation’. The event promotes the message of ‘ Beti Bachao Beti Padhao’, encouraging girl child and also live with pride and fearlessness by making a better society. Chitah Yajnesh Shetty also distributed necessary things to under privilege kids at the event. More than 1000 students participated in this event. The students also did live action for media and guest. Chitah Yajnesh Shetty is popularly known for training veteran actors like Dilip Kumar, Devanand, Ajith, Amitabh Bachchan and also current ones ; Hritik Roshan, Ajay Devgan, Akshay Kumar, Suniel Shetty, Farhan Akhtar, Govinda, Ranveer Singh, Sanjay Dutt, Kareena Kapoor, Priyanka Chopra, Juhi Chawla, Madhuri Dixit and many more in last three decades. Hollywood stars Roger Moore, Jacky Chan, Ben Kingsley, Steven Seagal and others also worked out during their shoots in India with Chitah Yajnesh Shetty.